This November Sylvia and Andy are having a fall themed wedding complete with pumpkins, brown and orange hues, and fall floral. 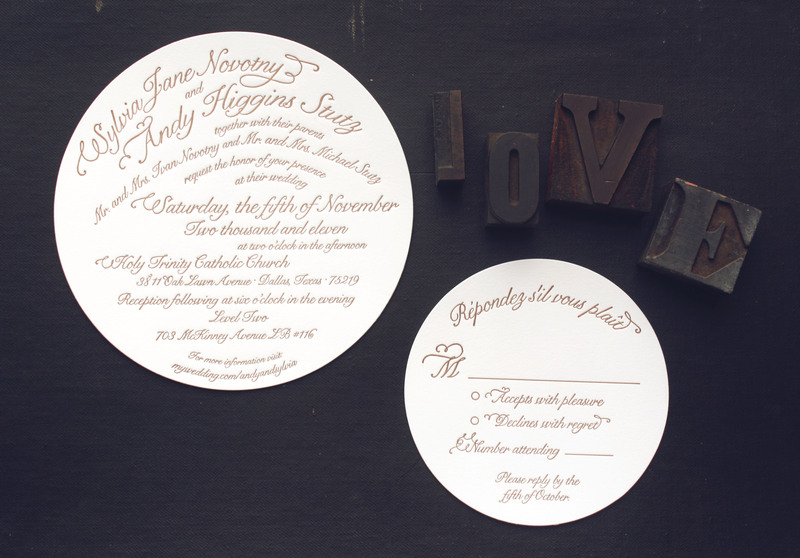 Keeping that in mind, I was inspired by the round shape of the pumpkins to create something different for their invitations. 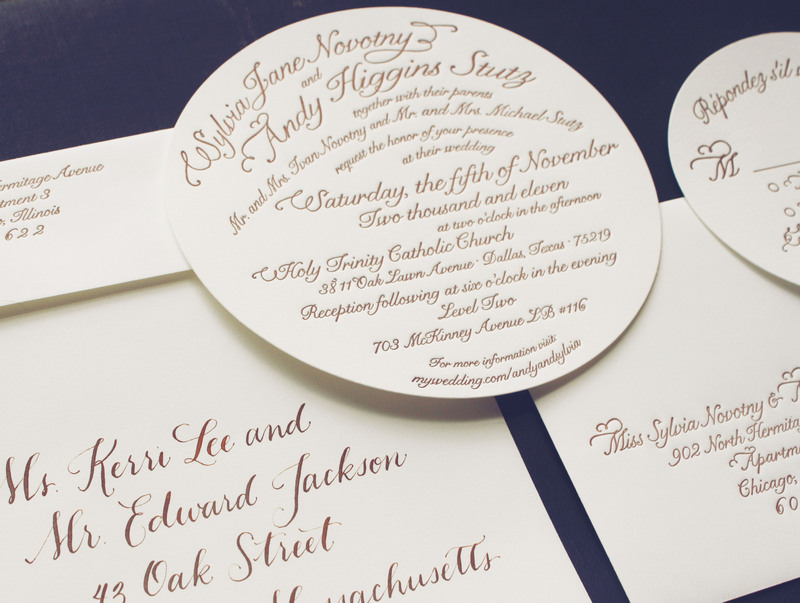 The result: round letterpress invitations with matching calligraphy. Simple, yet unique. Those are awesome, Lauren! Love! 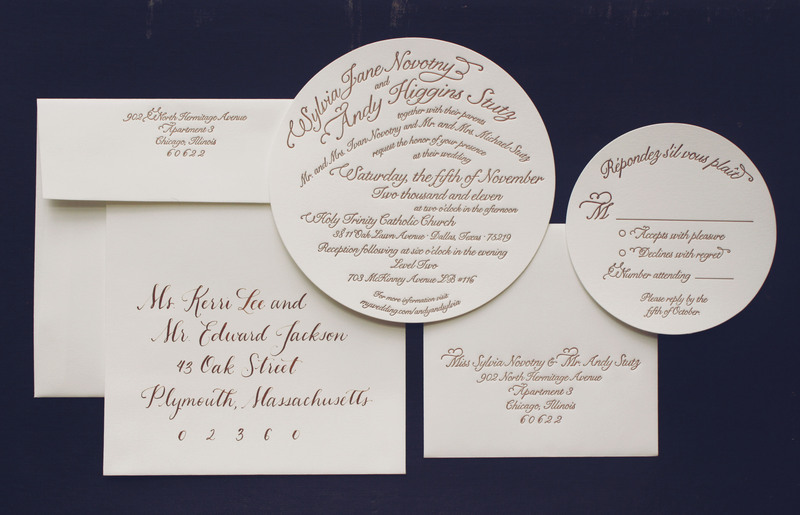 These are really beautiful, Lauren – I really like the layout! I love the design it was very elegant and awesome.